The climate apocalypse wants to strip us of everything sacred in this world. There are concerns about chocolate (though it isn’t going extinct), the future of wine, and even the potential loss of our prized Tabasco sauce! A study published in Nature Plants Monday is throwing more depressing news our way: Beer is next. Yes, beer. Your Friday night best friend. Your motivation for that vacation brewery stop. Your favorite reason for October. The study expects future yields of barley, beer’s key ingredient, to drop from 3 to 17 percent worldwide due to extreme heat and drought events by 2099. 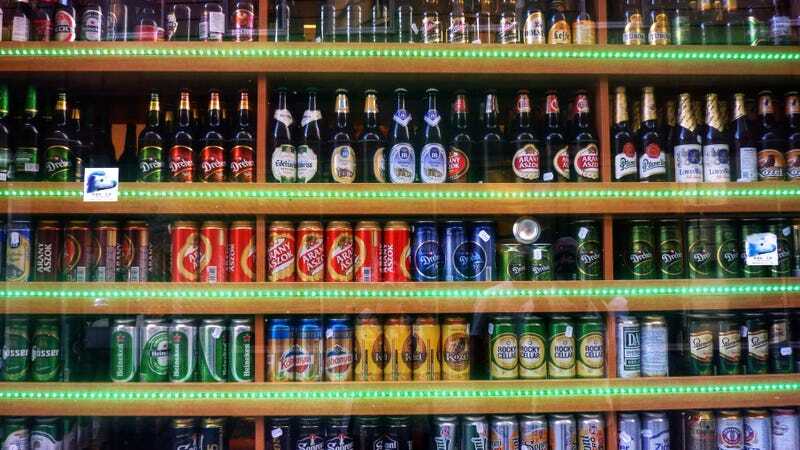 Depending on where you live, beer prices could spike in those years as a result, from 52 percent to more than 600 percent. That means a $4 beer today may cost something like $6 or, in a real dystopian world, $24. The study’s authors, who hail from China, Mexico, the U.K., and California, didn’t consider the effects of the gradual rise in temperatures caused by climate change, instead assuming “perhaps heroically,” as co-author Steven Davis put it, that barley farmers could keep up. Instead, the team used historical data from the years 1981-2010 to focus on global extreme heatwaves and droughts between 2010 and 2099—those that are worse than so-called 100-year events. “The more climate warming we get, the more often these extreme years occur,” Davis, an associate professor at the University of California at Irvine, told Earther. He and the rest of his team concluded this after looking at four different climate models, including one where humanity avoids 2 degrees of warming and a worst-case business-as-usual scenario, where we blow past it, and our future is dominated by extreme heat. Barley suffered in all these models across the 34 world regions that produce the crop, including Ireland, Brazil, and Russia. The situation just worsens as the models see more warming. Every country is set to feel these impacts differently. Countries like Belgium and Japan—which produce a lot of beer—will have a harder time importing barley. And beer will become a luxury not everyone can afford. Argentina, for example, may see consumption drop by 32 percent in the more dramatic scenarios. Now, let’s not get too worked up just yet. Remember: This is beer we’re talking about, a luxury product. No one will starve or die of thirst without a beer. The study even notes that consuming less beer might have health benefits. At the same time, people love beer, and it plays an important role in social gatherings. That’s why Davis and his colleagues pursued this research endeavor in the first place. It’s also worth pointing out that this study looked at the regions where barley currently grows. This is important because climate change may move where crops grow best. While parts of the U.S. Midwest start producing less barley, perhaps there’s hope for their northern neighbors. And in some regions, certain areas do show higher future barley yields in the authors’ models. “Even in extreme years, some parts of the world will have normal or above-average barley production, so it’s not everywhere or all the time,” Davis said. But there’s bad news, too. This study doesn’t look at other potential bruises to barley aside from heat waves, like pests or other natural disasters (think flooding). So, things could be different than these models predict. There’s still plenty of question marks surrounding the future of beer. While scientists work it all out, why not crack a cold one? For old time’s sake? Could Rising CO2 Levels Trigger a Nutritional Crisis?